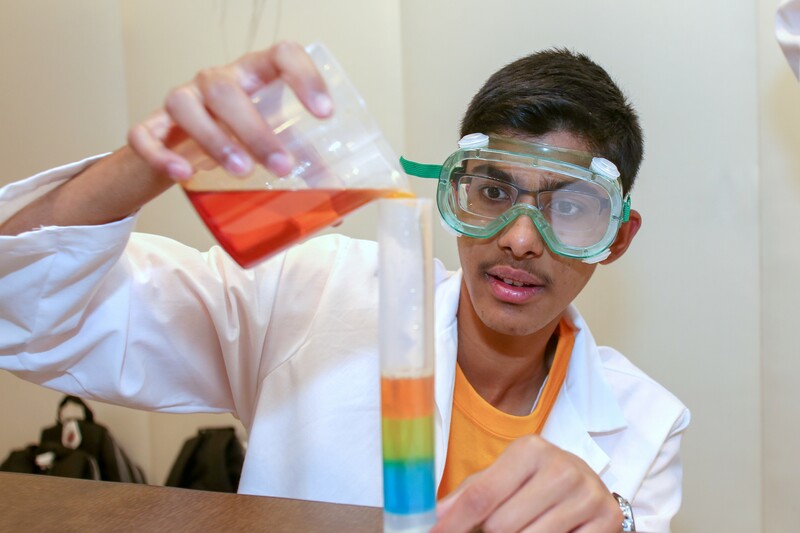 Potentially life-saving medical research on a common and sometimes deadly fungal disease is being done by 14-year-old Wilcox High School freshman Ahmad Ismail. 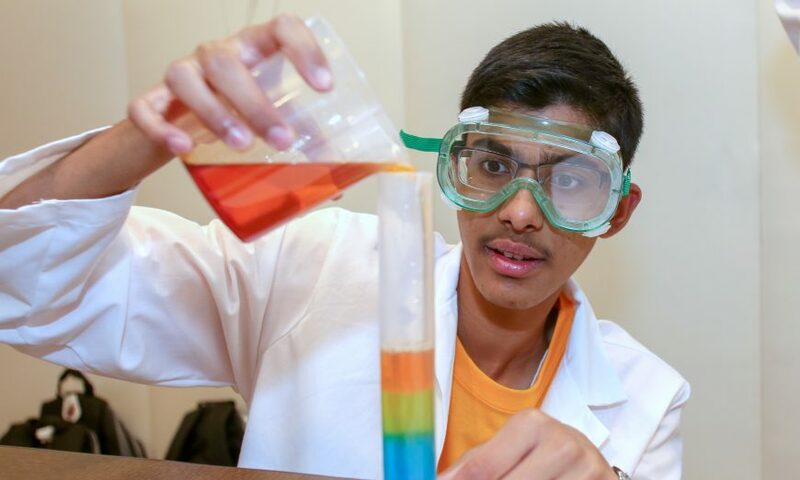 In recognition of Ismail’s efforts to find a treatment for invasive candidiasis, the Broadcom Foundation and Society for Science & the Public selected Ismail in September as one of 30 middle school students nationwide to compete in the 2018 Broadcom MASTERS Competition in Washington, DC. It is the nation’s premier middle school science, technology, engineering and math (STEM) competition. Ismail was selected by a panel of distinguished scientists and engineers from a record number of 2,537 applicants in 35 states. He was one of nine California students chosen, seven from the Bay Area. Ismail’s research started as a school science fair project three years ago when he was a student at Granada Islamic School in Santa Clara. There he was the first student in the school’s history to receive a perfect score on the math SAT. Granada Islamic School received a Broadcom award of $1,000 to use toward STEM activities. Ismail became interested in studying fungal infections because he had one in the past, although not candidiasis. According to the Centers for Disease Control and Prevention in Atlanta, GA, about 46,000 people in the U.S. contract candidiasis each year. About three out of 10 die from it. Candidiasis is caused by a type of yeast. In his research, Ismail tested combinations of antifungal agents and studied the effect of the treatment on the cellular structure of baker’s yeast. He hopes to synthesize new antifungal agents to further combat yeast infections and yeast infection-related deaths. Ismail’s research was done both at home and in the school lab after classes. For ongoing research, he is allowed to use the high school lab. He would need a mentor to use a professional lab and take his project to a deeper level. Ismail is the oldest of three children, all born in the U.S. to parents born in India. His younger sisters, Fatimah and Maryam Ismail, are also interested in science. Fatimah Ismail was chosen as one of 300 Broadcom MASTERS semi-finalists. Although Ahmad Ismail did not win additional honors in the final competition, participating affirmed his decision to seek a career in medicine, possibly as a doctor. “We’re very pleased to have Ahmad selected as one of 30 finalists nationwide. We’re very happy as parents,” said Ismail’s father, Maidul Islam, who accompanied him to Washington. The Broadcom Foundation, founded in 2009, is a nonprofit corporation that inspires young people to pursue careers in STEM and to develop 21st Century skills of critical thinking, collaboration, communication and creativity. Visit https://www.societyforscience.org/ and https://student.societyforscience.org/broadcom-masters-2018-finalists for more information.